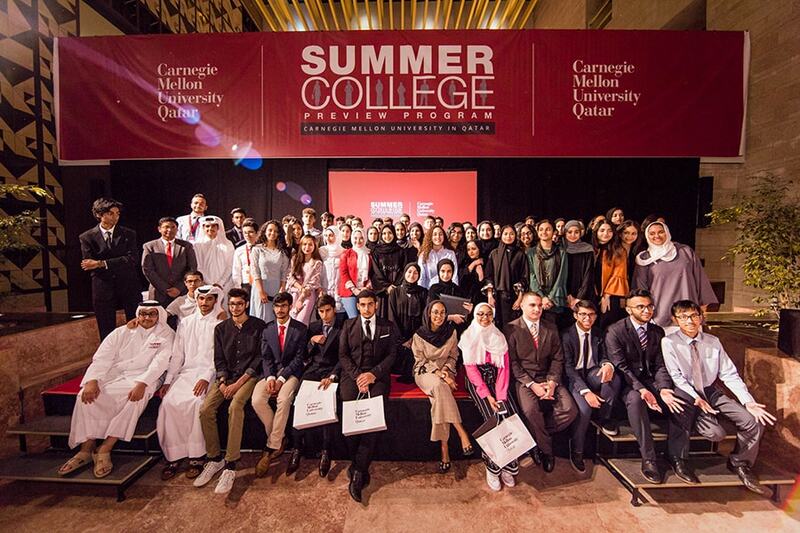 Secondary school students from across Qatar spent three weeks learning about careers in science, technology and business during the annual Summer College Preview Program at Carnegie Mellon University in Qatar. This year was the largest class yet, with 79 students participating. 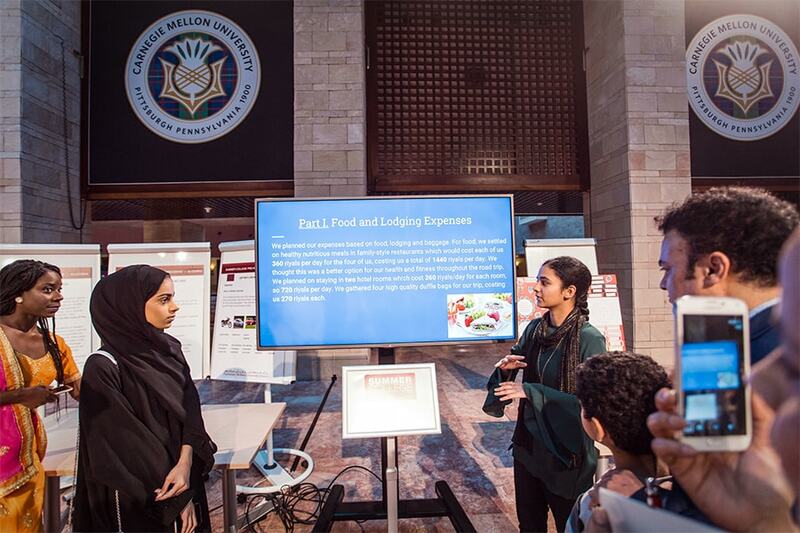 Throughout the program, students explored the fields taught at CMU-Q — biological sciences, business administration, computer science and information systems — and learned about college life. For many students, the program is an introduction to their future careers. Nearly 25 percent of last year's freshman class at CMU-Q attended the summer program as high school students. "The Summer College Preview Program exposes students to college-level math and writing and encourages them to develop new skills through project work. This is an important introduction to new fields of study for many students," said Kemal Oflazer, associate dean of research at CMU-Q, who addressed students and parents at the SCPP closing ceremony. The fast-paced program includes workshops on becoming a master student by setting goals, managing time effectively and preparing a competitive application for college. "The main issue new college students face is that they are not well oriented within the higher education system," said Saif Jassim Al-Kuwari, a parent of one of this year's participants. "The SCPP program is a great opportunity for them to get exposed to academic life at CMU-Q." High school student Salsabeel Mohammed attended her second Summer College Preview Program at Carnegie Mellon University in Qatar. 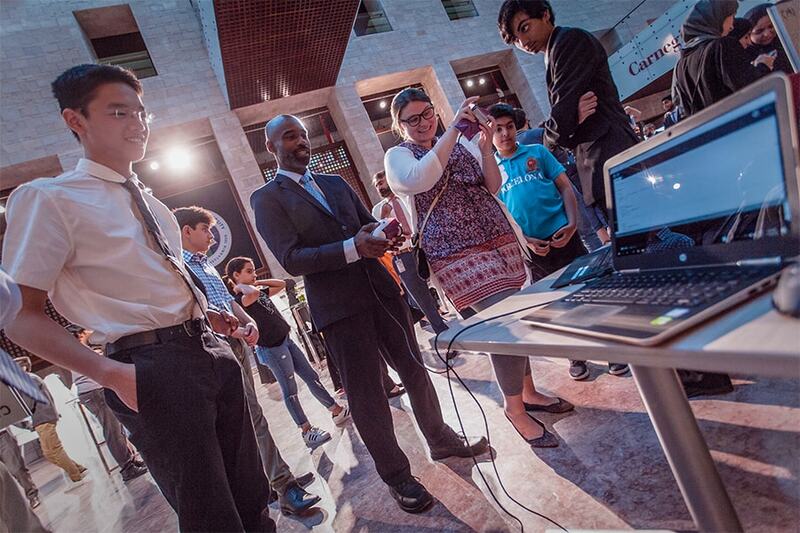 Secondary school students from across Qatar spent three weeks learning about careers in science, technology and business during the annual Summer College Preview Program at Carnegie Mellon University in Qatar. CMU-Q alumna Ghaya Al Sulaiti said attending the program caused her to rethink her career goals. "I had a plan when I was at high school which shifted once I participated in SCPP. It became obvious I wanted to proceed in information systems," said Al Sulaiti, who is a business analyst for materials management at Qatar Petroleum. Haya Al-Kuwari, a student at Qatar Academy, participated this year. "I first heard about SCPP in one of the school trips to CMU and for me it is considered a life changing experience," Al-Kuwari said. 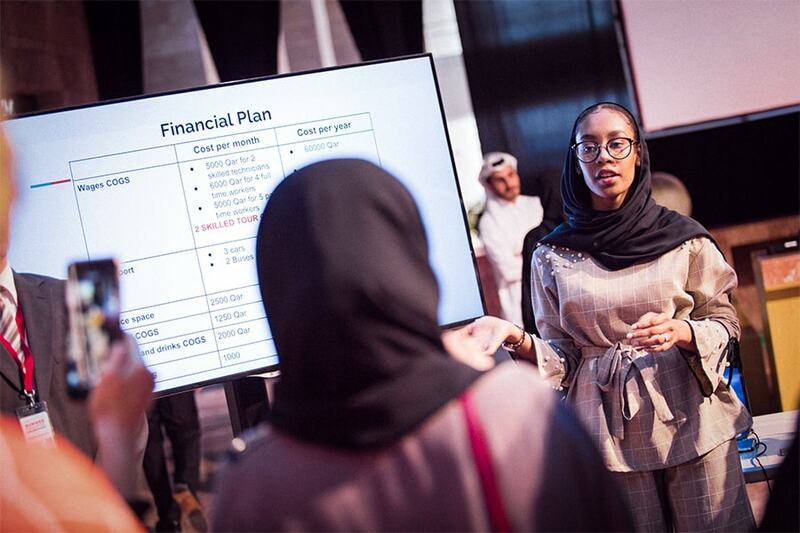 "I gained perspective and now I have no doubt that I want to study business administration at CMU and become one of the leading female CEOs in Qatar." In addition to the summer program, CMU-Q holds workshops throughout the year for secondary school students to learn more about the campus offerings. Learn more at www.qatar.cmu.edu/outreach.